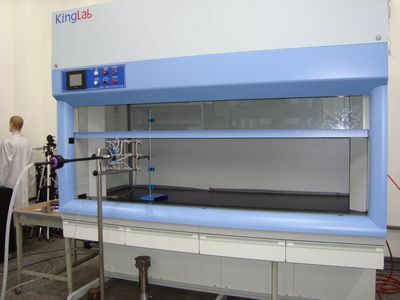 It has a steel frame structure, a mounted base cabinet and a countertop made of chemical-resistant board for laboratory use. Its main features are that it is easy to assemble, and can be customized according to requirements. The product adopts a modular design, allowing easy changes.